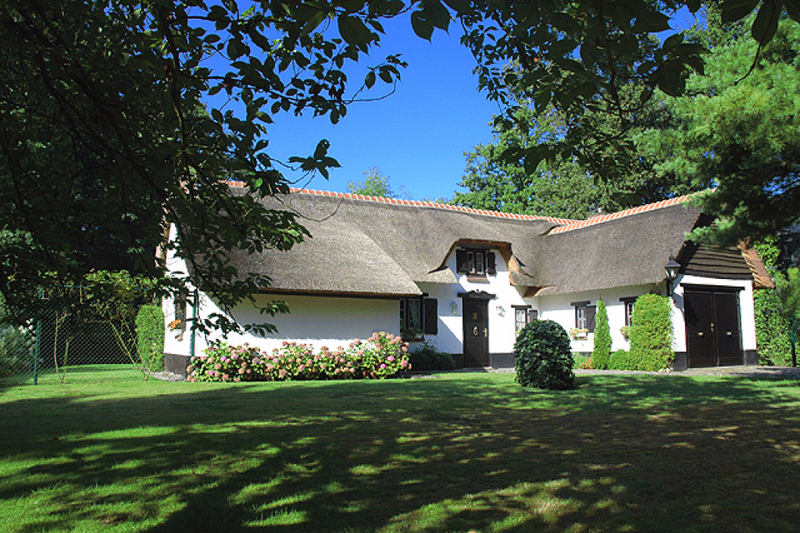 Gorgeous 3-bedroom villa in historical cottage style with exclusive thatched roof at top location just 10km north of Brussels. Superb south-oriented garden with outdoor spa. Can be rented furnished or unfurnished. In a residential area, just 12km from Brussels National Airport, 15km from NATO-HQ and International Schools, 20km from Brussels Grand Place and the European center. Located in a quiet green, very residential and safe neighbourhood. 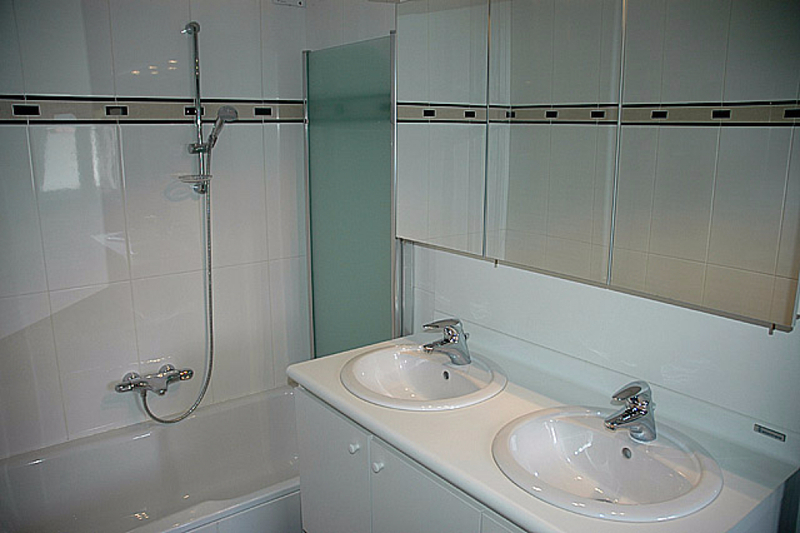 Ideal for couples or small families with children seeking tranquility in a neighbourhood with other expats. No through-traffic in the street. Lush secluded south-oriented garden of 1.100m2 with a nice terrace (partially covered) and lots of privacy. 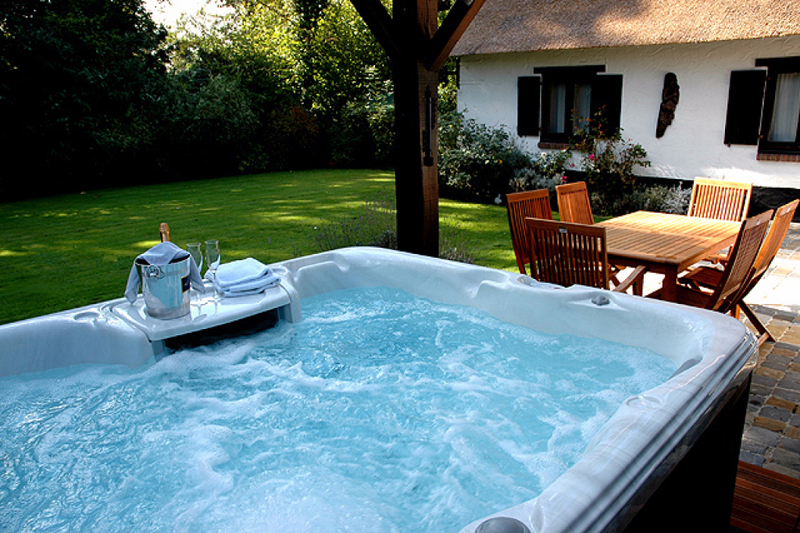 Large 5-person outdoor spa. Gardening service included. The natural reserve around Schiplaken Castle is one of the last green spots between Brussels and Antwerp. Villa Catarina is located in a privileged green residential area adjacent to this forest. It is conveniently located near important European city centers like Brussels and Antwerp but also within easy reach of a fine selection of shopping areas in the local communities of Schiplaken and Mechelen. A one hour drive will get you to the unique historical medieval centers of Bruges or Ghent, the Belgian North Sea coast or the green forests of the Ardennes. 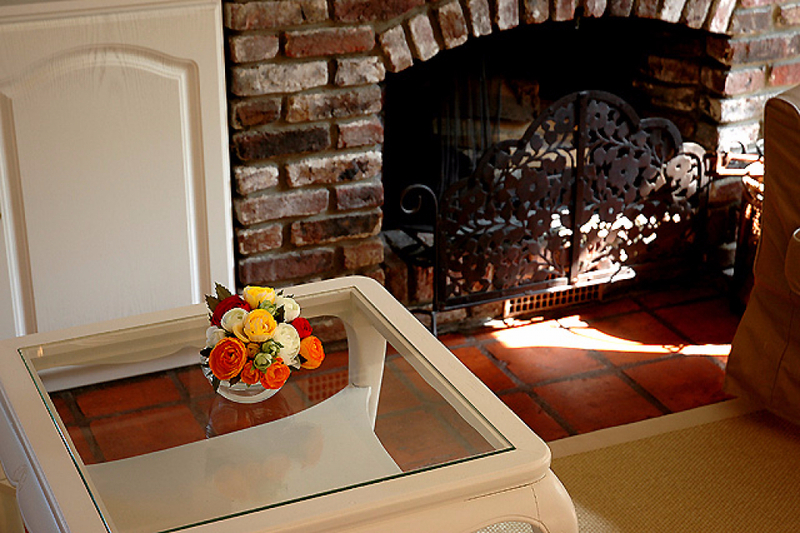 Prices depending on length of stay and furnished/unfurnished, and services to be included. Gardening service included.